Being a former employee of a dog daycare facility, I can tell you firsthand that the dog daycare industry is BIG here in Central Florida and can be very overwhelming when choosing the right one. There is a lot to look for when considering a dog daycare that best suites your dog and it should be researched and reviewed thoroughly. Making sure the owner and employees are experienced with dogs and their behaviors is an important aspect to take into consideration. Some dog care facilities may not be well educated and may not know what’s best for your dog in particular. It is best to ask as many questions as you can and get a feel for the environment your dog will be in multiple days a week. Dog daycare can really shape a dog into who they are for the better or worse-BE SELECTIVE! Daycare is not the answer for a dog who has separation anxiety. Yes, bringing your dog to daycare can “distract them” for some time, but they will revert back to their high anxiety and unhealthy state, for example: barking, panting heavily, whining, shaking, upset stomach or even aggressive behavior (believe me, I’ve seen it firsthand working at a dog daycare)! Before ever considering daycare for a dog who has separation anxiety, it is recommended to have your dog work with a positive reinforcement trainer. We recommend a local trainer here in Orlando, FL who is great with these types of behaviors. Sometimes you just don’t have the time to supply the right amount of exercise for your dog due to long work hours, busy schedules, etc. Dog daycare can be a good option for your dog, especially if they are young and need the exercise. Another option for your dog is to consider a dog walker or someone to come by during the day to walk, play and exercise your dog. Another option for extra exercise for your dog is swimming. Low impact exercise, like water swimming, is significantly proven to help your pet. From building muscle tone, loosening joints, relaxing muscles, increasing flexibility, and reducing stress, pain, and anxiety, swimming is the most recommended and valued exercise to extend the life of your pet. Swimming also provides a safe exercise for your dog and reduces the risk of injury by almost 100%. However, making sure you choose a certified professional who knows how to exercise and swim your dog is vital for their health. They should always be monitored as well as always be accompanied in the pool. Our sister company, Dip’n Dogs Canine Hydrotherapy is certified, experienced and recommended for your dog’s well-being. Dog walkers can be a great alternative to dog daycare. They are typically less expensive and can come to the convenience of your home, take your dog for a long walk and give them one on one personal attention. The issue with dog daycare, especially daycares who take a large amount of dogs, is that there is no one on one personal attention. Not all dogs are alike and will just run around with other dogs, some dogs need the one on one attention to make sure they are calm, comfortable, safe and getting the QUALITY time they need and crave. Dog walkers are also flexible and can work around the times you need them to, some even offer other services like taking your dog to vet appointments, grooming, etc. Always make sure to confirm your dog walker is experienced, responsible, licensed, insured and has a clean criminal record. It is important to remember that all dogs are not dog friendly. 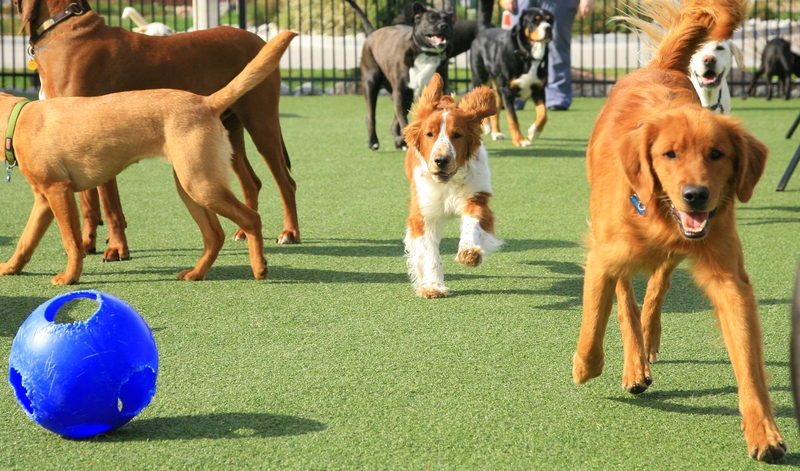 It is easy to assume that all dogs get along when put together in play groups or at the dog park, however this is not the case and is an actual red flag and something to really look out for. It may come as a surprise, but a lot of dogs actually do not like the company of other dogs, especially ones they do not know or have not yet encountered. Most dogs are content being around their humans, but throwing your dog into an unfamiliar dog daycare with unfamiliar dogs can pose a threat. Dogs, just like humans, have personalities, and not all dogs will get along with each other. If your dog tends to be introverted or is not interested in other dogs, dog daycare may not be the best fit for him/her. Some daycares offer individual attention and some do not. If you must enroll your dog in daycare, evaluations or meet and greets are very much recommend and should be required, in our opinion. Remember, dog daycare isn’t for everybody and every dog, and that is totally fine! There is nothing wrong with your dog if they prefer the comfort of their own home compared to a busy and chaotic environment. If you don’t have any other options and have to take your dog to daycare, try to limit it to 2-3 days a week max, so they have plenty of downtime at home with their family. It is important to remember all the other options aside from dog daycare, and it is ALWAYS a good idea to try something new AND effective.